Okay, so it is now time to use that pesky bag of frozen cranberries that you have to move out of the way every time you get into the freezer and think to yourself, "I need to use those cranberries one of these days!" The time has come, my friends. Just in time for Easter, too. I actually made these (and another killer cinnamon roll recipe that I will be sharing soon) for christmas morning. But shhh, I know it's March and I am only just getting to share these with you. I'll just pretend that that amount of time hasn't passed. Anyway. These are the perfect breakfast "buns", or whatever you want to call them, because you can make them the day before. 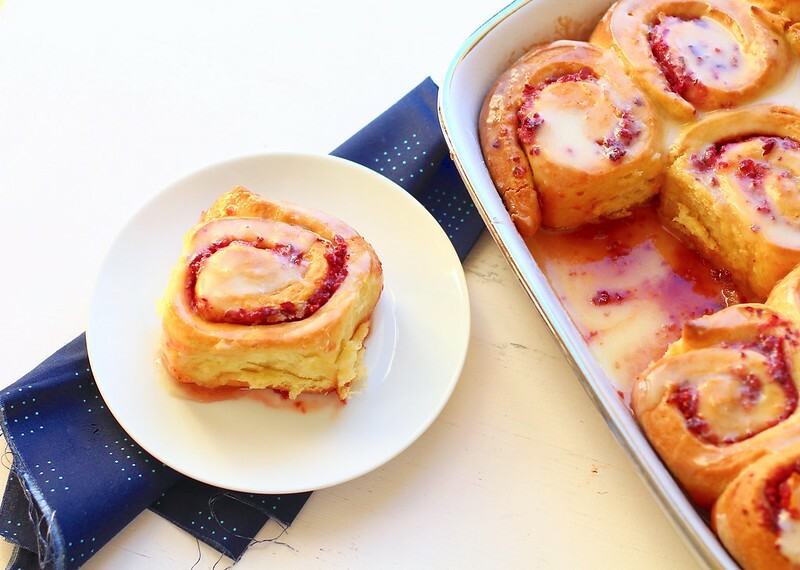 They are still yeasted rolls, but you can forgo that lengthy rising wait in the morning. Which makes the ultimate breakfast. All the mixing, filling and rising work is done the day before. 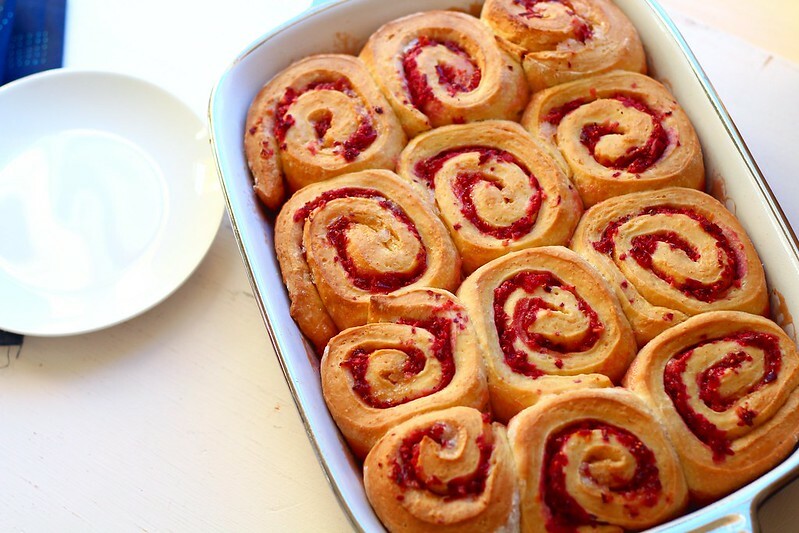 All you have to do is, take the rolls out 30 minutes before you bake them. I mean seriously, that is just brilliant! All that extra time gives you time to cook bacon, eggs, cut up fresh fruit, or whatever your heart desires. Maybe drink another cup of coffee too. Moving onto the rolls themselves. Cranberries and oranges go together like chocolate and raspberries. They were just made for each other. The filling is just a little tart, the way it should be. The rolls are bright and cheery, perfect for this time of year. The rolls are moist, and soft, slathered with a sweet orange icing. (If my husband was a cream cheese fan, I would be all over that for the icing.) 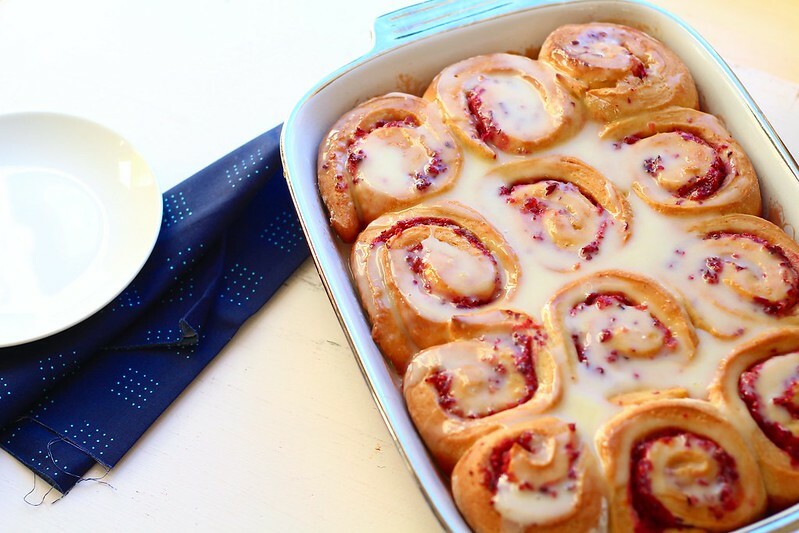 These would be a killer addition to an easter brunch, or an exceptional Sunday breakfast. To make the dough, grease a large bowl and set aside. In the bowl of a stand mixer fitted with the paddle attachment, mix together the yolks, whole egg, sugar, butter, buttermilk and 3/4 of the orange zest together (saving the rest for the filling). Stir in 2 cups of flour, yeast and salt until evenly moistened. Switch to the dough hook and add the remaining 1 3/4 cups flour knead on low speed for 5 to 7 minutes. The dough should be soft and moist, but not overly sticky. If the dough is sticky, stir in 1 tablespoon of flour at a time until the dough is soft. Scrape the dough into the prepared bowl, turning once, and cover with plastic wrap. Let dough rise at room temperature until doubled, about 2 to 2 1/2 hours. Once the dough has fully risen, grease a 9×13-inch baking dish. Turn the dough out onto a floured work surface and roll it into a rectangle that is about 18 inches wide and about 12 inches long, with the long side closest to you. Brush the dough with the melted butter. Sprinkle it evenly with the brown sugar. Then spread the ground cranberries over the brown sugar, and finish with the remaining orange zest. Roll the dough, starting the long side closest to you, into a tight spiral. Using a sharp serrated knife, gently saw the log into 12- 1 1/2-inch pieces. Arrange the buns evenly in the prepared baking dish. Cover tightly with greased plastic wrap and refrigerate overnight, or up to 16 hours. The next morning, before you ready to bake, remove the rolls from the refrigerator 30 minutes before baking. Preheat your oven to 350ºF. Place the rolls in the oven and bake until puffed and golden brown (internal temperature should read about 190ºF), about 30 minutes. Transfer pan to a cooling rack and let cool slightly before icing. In a small bowl, whisk together the confectioners' sugar and orange juice, adding more juice or sugar to reach desire consistency. 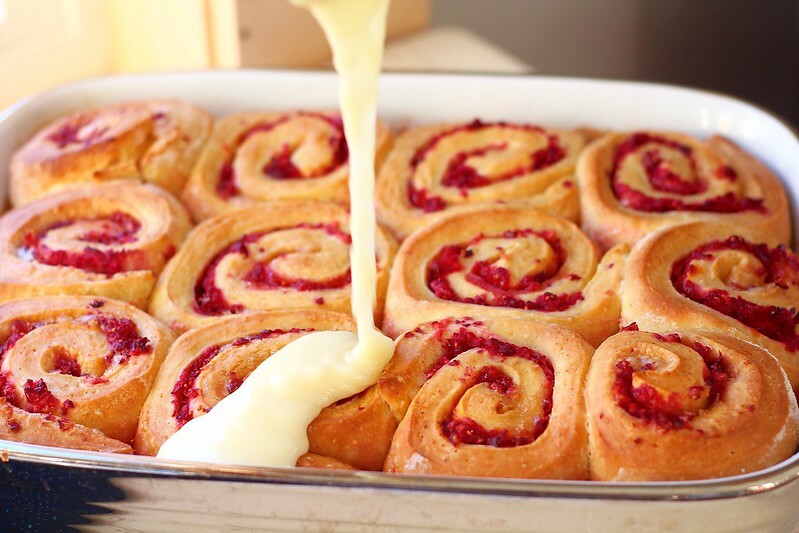 Drizzle or spread over slightly cooled rolls. Serve immediately.